Exactly what it says on the tin. What films would you like TCM to schedule for this program? I'd like some more foreign films, like the excellent French production of Michael Strogoff (1926). There's a film that definitely needs rediscovery, as it has all the elements of a crowd-pleaser. Number 1. Herbert Brenon's BEAU GESTE (1926) with Ronald Colman and an All-Star Cast. Not yet voted into the National Film Registry. Get this outstanding film the exposure it deserves. Raymond Bernard's THE CHESS PLAYER (1926). An awesome French production that apparently TCM has never shown before. Although on DVD from Milestone. King Vidor's HIS HOUR (1924) with John Gilbert and Aileen Pringle. Gilbert's TWELVE MILES OUT with Joan Crawford, and MAN WOMAN & SIN with Jeanne Eagels. (Both 1927). King Vidor's PROUD FLESH (1925) with Eleanor Boardman. LOVEY MARY (1926) with Bessie Love and William Haines. THE FLAMING FOREST (1926) with Antonio Moreno and Renee Adoree. (Includes scenes shot in Two-color Technicolor). Marion Davies THE CARDBOARD LOVER (1928) with Nils Asther and Jetta Goudal, and all the other un-aired Davies MGM Silents. Colleen Moore's LILAC TIME (1928) with Gary Cooper. Hard to believe this has never been shown on TCM as Warner's owns the copyright. Also all or any of her other surviving First National features such as IRENE (1926), TWINKLETOES (1926), ORCHIDS AND ERMINE (1927), NAUGHTY BUT NICE (1927), HER WILD OAT (1927), and SYNTHETIC SIN (1929). One of the other surviving First National Corinne Griffith features such as BLACK OXEN (1923) recently restored by George Eastman House. SINGLE WIVES (1924), CLASSIFIED (1925) or THREE HOURS (1928). So many of her films have been lost. Gloria Swanson movies such as ZAZA (1923), THE HUMMING BIRD (1923), MANHANDLED (1924), STAGE STRUCK (In Technicolor 1925), and FINE MANNERS (1926). Pola Negri titles such as THE SPANISH DANCER (1923) recently restored to close to full length. by Eye Netherlands Institute of Film in Amsterdam Holland. Also Lubitsch FORBIDDEN PARADISE (1924). Mauritz Stiller's HOTEL IMPERIAL (1927). and Rowland V. Lee's BARBED WIRE (1927), one of the best Anti-War films ever made. Much like Colleen Moore not much going as far as Pola Negri on TCM that I recall. Valentino's THE EAGLE (1925). 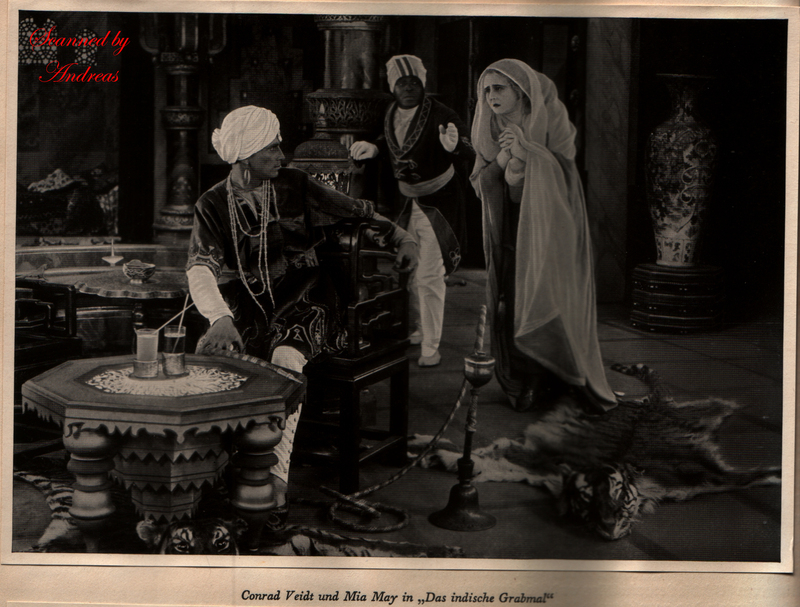 Recently restored by Kevin Brownlow's Photoplay Productions from the original camera negatives. Paired with a powerful Carl Davis score. George Fitzmaurice THE NIGHT OF LOVE (1927) with Ronald Colman and Vilma Banky also recently restored and a magnificent film. Edwin Carwe's RAMONA (1928) with Dolores Del Rio and Warner Baxter which was recently restored by the Library of Congress. Another film with Dolores called THE WHOLE TOWN'S TALKING (1926), which Stars Edward Everett Horton. Dolores is arguably the greatest movie Carmen ever in Raoul Walsh LOVES OF CARMEN (1927). Would give anything to see this in a nicely restored print. THE RED DANCE (1928) with Dolores and Charles Farrell is certainly available, as a beautiful new transfer aired on France 3 in July of 2012. I was hoping by now it would have been picked up by TCM. Janet Gaynor's first Starring role in THE JOHNSTOWN FLOOD (1926). Howard Hawks Hilarious FIG LEAVES (1926) with Olive Borden, George O'Brien and Phyllis Haver. Hawks FAZIL (1928) with Farrell and Greta Nissen which premiered in a beautiful new transfer on France 3 a little over a year ago. DeMille's CHICAGO (1927) with Phyllis Haver and Victor Varconi. It's been on DVD from Flicker Alley for 5 years, but was never shown on TCM. One of the best preserved Silents anywhere. Can't for the life of me figure out why TCM has never aired it? Same goes for Douglas Fairbanks THE BLACK PIRATE (1926) with Billie Dove, in Technicolor. That's been on Blu-ray since 2008 or so. Hey, how about some Tom Mix and Bill Hart Westerns? These are just for starters. None, I don't like silent movies. However, I can accept their being shown, but please not huge blocks of them. Frankly, I don't think TCM has enough of them. Sad to see there is not one silent film scheduled in August. There are two silent movies with Adolphe Menjou scheduled for tomorrow morning: The Sheik (1921) with Rudolph Valentino and A Woman of Paris (1923) directed by Charles Chaplin. Roscoe "Fatty" Arbuckle. I absolutely adore him. anything Rudolph Valentino.I have never seen 1 and I don't even know what he looks like without looking him up. all I know is he is supposed to be the clark gable of silent films. There is an interesting story behind the footage in Sunset Boulevard. If you mean the part where Gloria and William Holden are watching her silent movie and she says "We didn't need dialogue...we had FACES!" and "Have they forgotten what a star looks like? ", it is footage from Queen Kelly (1929). It starred Gloria Swanson and was directed by Erich Von Stroheim (he played her old director, Max, in Sunset Boulevard, but he really had been in real life!). It was a tumultuous production, very expensive, Gloria was unhappy with it, many different issues came up. An alternate ending was filmed in order to salvage what footage had been done, and the peiced together movie was released in Europe and South Africa, but not in America. Stroheim suggested footage from that film be used in Sunset Boulevard and it was the first time footage from that film had been seen in the United States. If you are interested in seeing a Valentino movie and Gloria Swanson's work in the silent films, there is a movie that has both of them in it! Beyond The Rocks (1922) was considered lost for many ears, but luckily, it was found in the Netherlands! So you can watch it free on Youtube. There is a little deterioration in the film, but it doesn't last long. Gloria Swanson and Rudolph Valentino star in it, and its a really fun movie, I highly recommend it! It is a great showcase of Swanson's abilities as an actress. Natalie, thank you for that information. And yes it was that very scene that I meant in Sunset Boulevard. I also appreciate your sharing the information about the Gloria Swanson and Rudolph Valentino film. Very strange that an American film would be found abroad. at the moment I do not have a device that permits me to watch videos on YouTube or anywhere online but I will do so when I can. That is why for the time being I depend on this channel & FXM RETRO for all my classics viewing! I'm glad I was able to help! Perhaps TCM will play it soon, I've been requesting some Valentino movies for awhile now. I had hoped they would do a marathon of his films on the 90th anniversary of his death just a few days ago (August 23). I was so disapointed to see that they have skipped the past few "Silent Sundays", I always look forward to them. thank you, Natalie. I think it is wonderful that they are fans like you who do not give up and keep his memory alive even when his films are rarely shown on television, as long as there are some of us who watch and remember and can get a hold of DVDs, they will never truly die. I must say that Valentino does intrigue me and I have a feeling I am going to end up researching his life and buying DVDs and books in the future. I did skim over his quotes and bios on IMDb. I want to leave the rest for after I watched him act. Good for you for "pestering" them for Valentino films. Yes very strange that they did not honor him. I created an account here to express my displeasure at the lack of Tyrone Power's films on TCM so I am using the word pestering with admiration and not any negative connotations. It is strange to me that in spite of recently showing three films staring him, the previews gave all the credit to the other performers and never showcased him in any way. witness for the prosecution had a very quick and fleeting mention in passing. in the case of the Mary Antoinette preview, they never once mentioned him. sorry for bad grammar, typos, the random and or lack of caps, my device keeps acting up and and reverts my corrections as well. at least I was very happy to enjoy some 12 hours of Errol Flynn on his birthday as I had only ever seen Robin Hood and had always wanted to watch his films. I have a feeling that Valentino is of the same caliber as as those two. Or should I say vice versa since he came first! I hope there will always be fans willing to fight for recognition of the stars they love and admire so that the folks who built Hollywood and built the film industry as we know it will never be forgotten. Lack of interest leads to lack of knowledge and the more people that become disinterested in the early days of film and the pioneers who established it, the more we will lose. Classic films show us what the values of the people were decades ago, some strive to teach a lesson or establish a moral. Sometimes, the goal of a classic film is to just make you laugh and bring a little joy into your life; they remind you to smile. Whatever the purpose of a silent film, it has enriched our culture in some way and it still can today. Silent movies are treasures tossed aside by modern society. If people would look a little closer, they'd see the worth in these little windows into history. So many great actors worked hard and put their everything into creating early films, and now all their hard work is starting to be forgotten. A pretty good resource for info on Valentino is a video about Gloria Swanson and Valentino and it has some really great stuff in it, Rudy's brother and people who knew him tell some great stories and give unique details about him. The only place I've watched it is online, if you get the ability to watch youtube, let me know and I'll send you the link. He was a devoted actor who liked to film on location and took his work seriously, however, those who worked with him say he was wonderful to work with, very generous with a great sense of humor. There are several pictures of him and Agnes Ayres on the set of The Sheik (1921) as well as some footage; he's joking around with her and laughing. Also some good pictures from Beyond the Rocks of him and Gloria Swanson. I'm glad to hear I'm not the only one "pestering" them for certain movies; I was almost afraid they'd get mad if I kept it up! (Luckily they didn't haha) If we just keep asking, perhaps they will show them! It's a shame that they didn't talk abut Tyrone, I wonder why they didn't. I understand about the computer, mine's broken too, I'm borrowing a friend's for now, my keyboard stopped working. So don't worry about any mistakes, its not your fault. I watched Mabel's Willful Way (1915) for the first time a few days ago when they played it on TCM, what a fun film! I had seen some of Roscoe Arbuckle's work before, but to be honest, I hadn't paid much attention to it until recently. Such a shame that a talented and fun guy had his reputation destroyed because of an untrue sensational story. I love The Student Prince at Old Heidelberg. Ramon Navarro (one of my all time favorites) and Norma Shearer were so good together. Also anything with Lon Chaney in it, especially The Unknown, The Unholy Three, West of Zanzibar and The Blackbird. He is amazing. I would also like to see these films played. The Student Prince in Old Heidelberg is one of my very favorite Ramon Novarro films; in some ways, it reminds me of Roman Holiday (1953) but with a prince instead of a princess and the circumstances are different. Lon Chaney Sr. amazes me everytime I watch one of his movies, my top favorites of his are The Unholy Three (1925) and The Unknown (1927). One of my favorite scenes from The Unknown is the part where he has just made a great sacrifice for the one that he loves (trying not to give anything away!) and when he sees her again for the first time, he is so happy, and Lon Chaney Sr. was able to portray that emotion so well it really touches you! Even when he played villains, I was still hoping that he would win in the end, he was just so likeable. I would like to see The Shock (1923) with Lon Chaney Sr. played, I saw it recently and loved it! It has some elements that are similar to his other films, and then some surprising pieces that I was not expecting! I would love for it to be shown on Silent Sunday. Abel Gance's Napoleon, The Iron Horse, The Black Pirate, The Hands of Orlac, Hearts of the World, The Iron Mask, Frankenstein (1910). His version is the only one that will play in the USA. The 5 hr.+ restored version is off limits over here. The Hands Of Orloc was played once, but I believe it was actually in the prime time spot. Maybe SUTS with the spotlight on Conrad Veidt, if I'm remembering correctly. I'd like to see "Sunrise: A Song of Two Humans" on Silent Sundays. And also Charlie Chaplin.